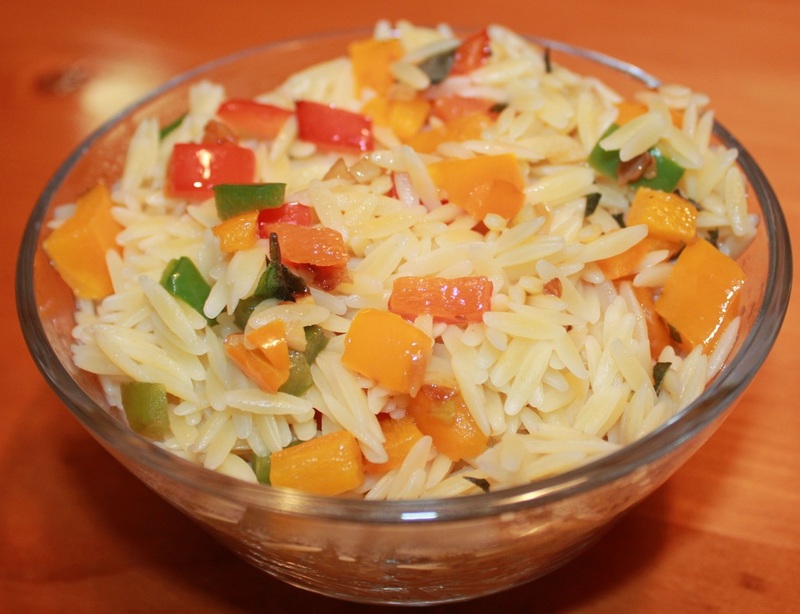 Orzo with sweet tender bell peppers sauteed with garlic makes a fresh healthy side dish. Boil water in medium saucepan. When water comes to a boil add orzo. Cook until tender, about 9 minutes. While orzo cooks, heat a large skillet over medium-high heat. When the pan is hot add the oil. Saute the garlic until it begins to turn golden. In a large bowl, mix the orzo, bell peppers and oregano, serve warm.